University of Houston-Clear Lake's Statistics Program offers a master's degree with an interdisciplinary focus. You'll be trained to apply your knowledge of statistics in the fields of medicine, insurance, finance, education, sciences and engineering. 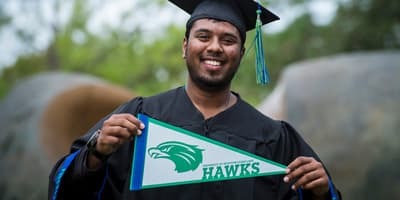 UHCL graduates of the Statistics Program have been placed in diverse careers, including statisticians, biostatisticians and analysts, many of which earn a six-figure salary. Statistics is the science of learning from data. Statistics involves collecting, analyzing, and interpreting data. It also involves effective communication and presentation of results relying on data. Data is being collected everywhere all the time. From medical studies and scientific experiments to social networking sites and shopping, data is being diligently and consecutively collected for quantitative analysis and inference to evaluate needs of the societies. Knowledge in statistics provides the fundamental tools and conceptual foundations in quantitative reasoning to extract useful and important information intelligently from data. Business, industries and government rely on data for their planning and for developing policies. Knowledge of statistics lies at the heart of quantitative reasoning essential for making advances in the sciences, decisions in industries and development and implementation of government policy. It prepares you for a lucrative career. The Statistics Program at UHCL emphasizes a curriculum with a balance of theory and application of statistics. It prepares students with statistical knowledge, computing skills, and technical communication skills that are needed in their careers. Students with sufficient undergraduate math foundation courses are expected to graduate from the STAT program with a Master of Science in two years if they remain enrolled full-time. Statisticians are in high demand in a wide variety of fields ranging from business to government and science to industry. Not only are there many exciting opportunities for statisticians, but careers in statistics are quite rewarding with desirable salaries and benefits. Statisticians with sufficient experience can earn up to six-figure salaries. 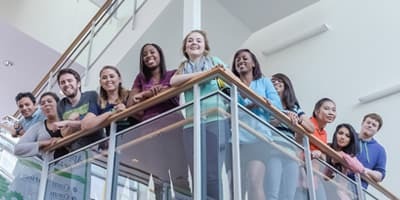 Additional Requirements – Undergraduate degree in Math or Statistics; Students with an undergraduate degree in Engineering, Science or other field will be considered if the preparation includes an adequate number of upper-level credit hours in Math and Statistics. To apply to the master of science program in statistics complete the UHCL application. 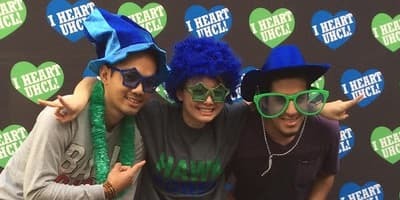 For general information regarding admission, please visit the Office of Admission at UHCL. To speed up your application processing, please verify that the University's Office of Admission has all your necessary documents. Applicants inquiring about the status of their applications may contact Academic Advisors; Phone: (281) 283-371, E-mail: cseadvising@uhcl.edu. Direct any general questions about the STAT program to Dr. Yingfu Li, the program chairperson. Students should schedule a session with the academic advisor immediately upon arrival. Academic advisors are located in the CSE Dean Office, Bayou Building Room 3611. You may phone them at 281-283-3711 or e-mail cseadvising@uhcl.edu. Please visit the CSE Academic Advising page to find out more information. Advises on requests to waive courses. University of Houston-Clear Lake provides various types of scholarships. Please review these and apply for the scholarships one is eligible for. New applicants, especially international or out of state applicants, are encouraged to apply for the Hawk Scholars Scholarship. It is a competitive scholarship based on the criteria of academic merit and dates of unconditional admission and scholarship application. Therefore, the earlier an applicant applies for admission and for this scholarship, the higher is the chance for receiving this award. An awardee of the Hawk Scholars Scholarship will be eligible for in-state tuition. College of Science and Engineering Dean's Scholarship: Masters in Statistics Scholarship Information. The Statistics Program provides opportunities to its full-time students, especially international students, to be employed as teaching assistantship. In the past, almost every full-time student in STAT program has been awarded teaching assistantship after their first semester enrolled at UHCL with strong performance. We strongly suggest new applicants to apply for admission early and at the same time apply for the Hawk Scholars Scholarship. If you reside in the States and also have strong mathematics and statistics background, we encourage you come to see the program chair to explore your chance of receiving an assistantship. Candidates for assistantships must complete the graduate Teaching Assistant application and return it to the department secretary. The renewal of teaching assistantship is subject to satisfactory performance. Teaching Assistant duties include grading homework and conducting help sessions for instructors who teach undergraduate statistics courses.